New colorway spotted on Penny's feet in Memphis. A new Penny Hardaway signature shoe is expected to launch later this year, the sixth in his line and second official post-retirement model. Already previewed in 'Copper' and 'Orlando' colorways, the Nike Penny 6 has now surfaced in blue. 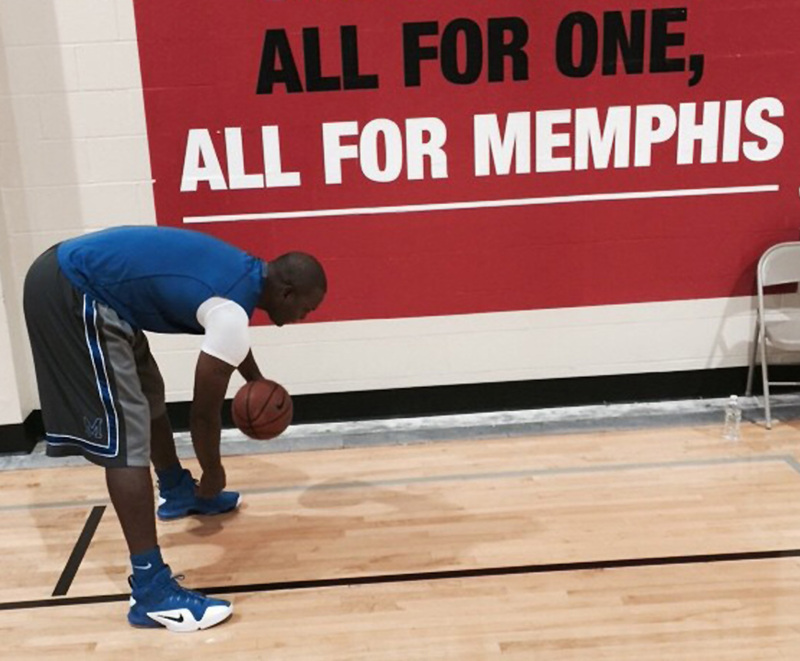 Penny himself was spotted wearing the new style while getting up a few shots in Memphis. The shoe's blocking is reminiscent of the Air Penny 1 from the Sole Collector Penny Pack. An official launch date for the Penny 6 has not yet been announced.